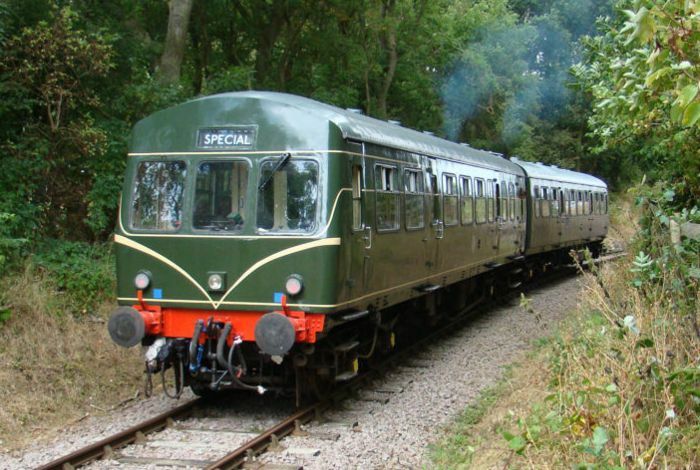 We're operating a diesel railcar service on the Mountsorrel Branch on Wednesday 17th and Wednesday 24th April 2019. 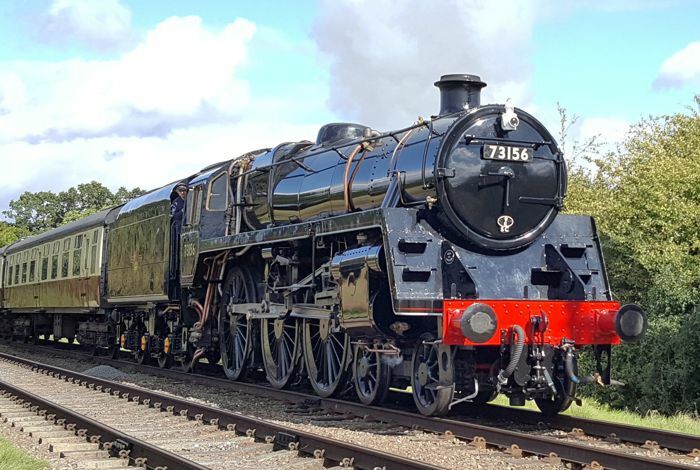 This will be an opportunity to enjoy both the GCR main line and the Mountsorrel Branch, with services calling at Quorn & Woodhouse, Nunckley Hill (adjacent to the Heritage Centre), Mountsorrel, and Rothley before returning to Quorn & Woodhouse. Some services also return to Loughborough Central. There will be four services serving the Branch, with regular passenger trains also in operation on our main line. Tickets will be available for a single round-trip journey to/from the Mountsorrel Branch to Quorn & Woodhouse and Rothley and Loughborough Central on applicable journeys, or a discounted supplementary ticket providing one round trip on the Mountsorrel Branch for holder of GCR runabout tickets. Passengers are able to board and leave the train at Nunckley Hill station as well as the GCR main line stations and continue their journey on a later train. Please note that dogs are not permitted at the Mountsorrel Heritage Centre (except assistance dogs). This is due to the delicate wildlife habitats around the site. GCR is also operating an Easter Animal Fun event on both days (see separate event page here for details). Please note that tickets purchased for a single round-trip journey on the branch are not valid for the Easter Animal Fun event areas at Loughborough Cental Station. Access to these areas is available with a full runabout tickets for the GCR main line (see fare details below). Trains on the Mountsorrel Branch will be operated by a diesel railcar. On our main line, two steam locomotives will be in operation. Branch tickets are available from Loughborough Central, Quorn & Woodhouse, Rothley, and from the Ticket Inspector on the branch trains). Holders of runabout tickets for the GCR main line may purchase a supplementary ticket for the Mountsorrel Branch at the discounted rate of £3. The supplement may be purchased at the same time as your runabout ticket on the day, or is also available online in conjunction with the main line runabout as a combined ticket. The supplementary ticket is available at Loughborough Central, Quorn & Woodhouse, Rothley, and from the Ticket Inspector on the branch trains. No short hop tickets available between stations (excluding Mountsorrel Branch Diesel Railcar). *Normal discounts apply for members of Friends of Great Central Main Line to buy Privilege rate tickets upon production of membership card. *Working members of other heritage railways with whom GCR has reciprocal arrangements for reduced fares, will be eligible for Privilege fares upon production of valid working membership cards. *Same arrangements apply as above for holders of ex British Rail and Train Operating Company passes. While every effort will be made to maintain services, we do not guarantee that trains will arrive/ depart at the times stated. We reserve the right to alter or suspend any train or attraction without notice. No liability for any loss, inconvenience or delay can be accepted. All railway locomotives release, on occasions, oily deposits into the atmosphere, including cinders from steam locos. We regret that we cannot take responsibility for damage to visitors’ clothing, vehicles or other personal belongings caused by these occurrences. 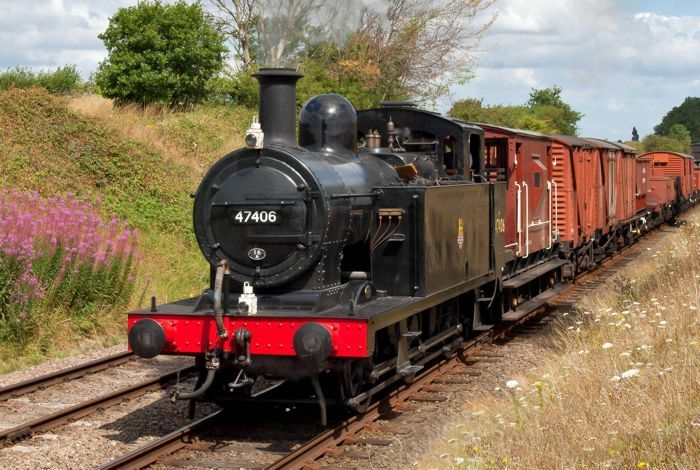 Two steam locomotives and a diesel loco are in action for our Easter Vintage Festival event. Special guest Class 14 D9537 is the rostered diesel loco on Saturday and Sunday.